Buy online MCP3008 ADC in India at low cost from DNA Technology. 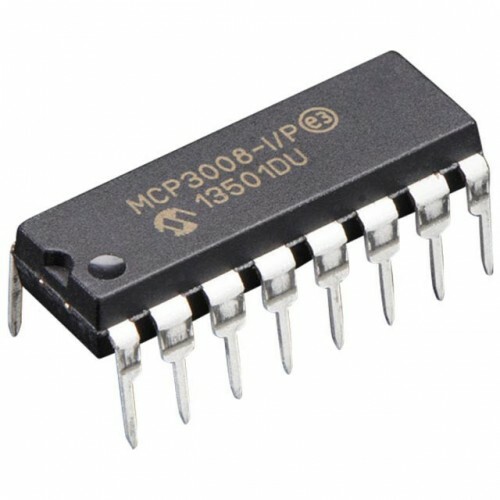 MCP3008 is an 16 pin Analog to Digital converter from Microchip. If you require a 8 Channel ADC with resolution higher than ADC0808 then this ADC is for you. Moreover it communicates with controller using SPI interface thereby saving controller pins. So now no need of using higher pin controllers just to interface an ADC. This ADC can also be used with raspberry pi there are lot of tutorials online on how to interface MCP3008 ADC to raspberry pi. MCP3008 is a successive approximation 10-bit Analog to Digital (A/D) converter with on-board sample and hold circuitry. It is programmable to provide four pseudo-differential input pairs or eight single-ended inputs. Differential nonlinearity (DNL) and Integral Nonlinearity (INL) are specified at ±1 LSB. Communication with the devices is accomplished using a simple serial interface compatible with the SPI protocol. The devices are capable of conversion rates of up to 200 ksps. The MCP3008 devices operate over a broad voltage range (2.7V - 5.5V). Low-current design permits operation with typical standby currents of only 5 nA and typical active currents of 320 µA. 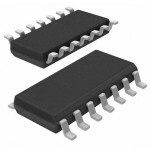 The MCP3008 is offered in 16-pin PDIP and SOIC packages. MCP3008 ADC is used extensively with Raspberry Pi for interfacing various analog sensors with it as raspberry pi does not have internal analog to digital converter. Lot of tutorials for interfacing MCP3008 with Raspberry Pi are available online. Having wiring issues when connecting Rpi3 to MCP3008? 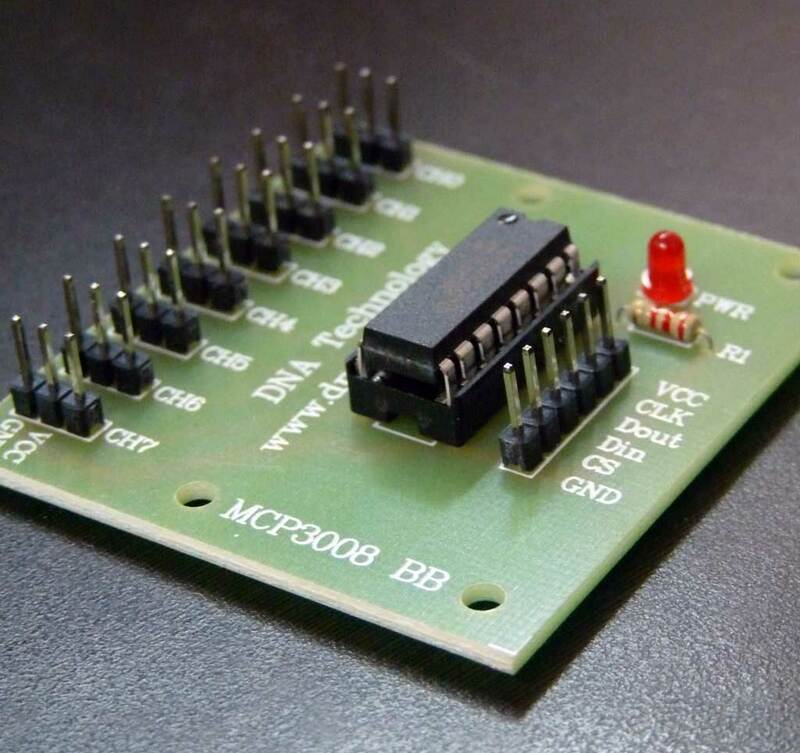 Did you try out our MCP3008 Breakout Board? Raspberry Pi 2900MHz quad-core ARM Cortex-A7 CPU, 1GB RAMThe Raspberry Pi 2 Model B is the second ge..
MCP3008 Breakout BoardThis is a Prototype Board for MCP3008 IC. 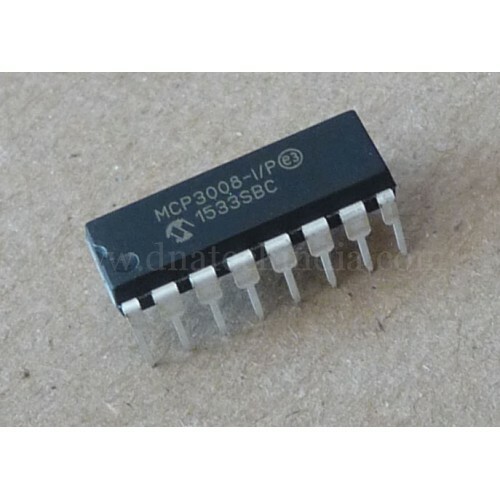 MCP3008 is Microchip's Eight channel..
MCP3008 SMD IC 8-Channel 10-Bit ADC With SPI Interface ICMCP3008 IC - (SMD Package) - 8-Channel 10-B..
4 Channel Logic Level Converter4 channel 1.8 to 5 volt Bi-directional logic level converterThis..